When you are out hunting in the woods, a good pair of binoculars can make a big difference in whether you get the kill of a lifetime or not. Having a quality pair of binoculars will allow you to spot your prey from yards away, but there are so many options to choose from. You will need to know exactly what you’re looking for to find the best binoculars for hunting. Now that you know more about how to choose binoculars for hunting, you are well on your way to finding the best binoculars. These are the best binoculars for the money. You don’t need to worry about compromising quality with the Leupold Bx-1 Yosemite binoculars. The price of these binoculars is one of the most notable pros, but it is also worth noting that these binoculars are small, weigh less than a pound, and have an eye relief of 15.5 mm. They also have very smooth focusing that allows you to see your targets from average distances, and you will like the fact that they are not only waterproof and durable but also comfortable. Considering the good quality you get with these extremely affordable binoculars, it is no surprise that there should be at least a couple downfalls. Some people do not like the strange shape of these binoculars, especially if they want to put them in their pockets. They also have a lower magnification, which is fine unless you are planning to use them for very long distance. If you are are looking for the best budget binoculars, you need to look no further than the Leupold Bx-1 binoculars. If you have more money to spend or want something with a sleeker design, you should consider other options. 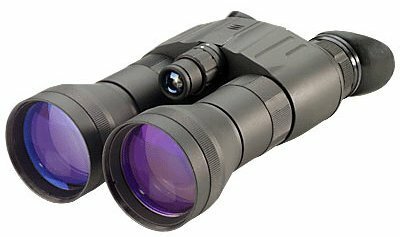 The Diamondback 8×42 binoculars are very popular among hunting binocular reviews because they are perfect for deer hunting and very affordable. These binoculars are very popular because they are unbelievably affordable considering all of the great benefits. It is hard to find inexpensive binoculars with large, fully multi-coated lenses. Because of the great quality lenses and design, these binoculars have a high magnification, high field of view, and a bright picture perfect for wooded, shady areas. The downsides of having a pair of binoculars with high-quality, large lenses are that the binoculars are going to be bulkier. Since they are bulky, you will more than likely end up wearing them around your neck, which is another bad thing because they are fairly heavy. Another complaint you might have with these binoculars is that the edges of the images are not very sharp, but this doesn’t affect the overall image quality very much. This is a great option for deer hunters who are hunting in woods because the images are very bright. 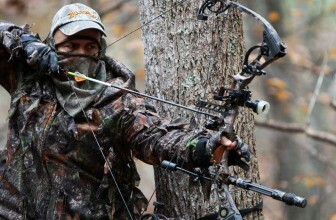 If you are hunting in open fields, you will want something with a wider field of view. 8x magnification and 42mm objective lenses, these Diamondback binoculars are the workhorse of Vortex lineup; known for impressive optical quality and durability. 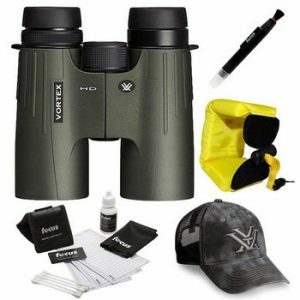 The Vortex Viper binoculars rank high on any Vortex binoculars review as the best 10×42 binoculars. As the name suggests, they have a 10x magnification with 42 mm lenses. Like most Vortex binoculars, the Viper HD binoculars are top-of-the-line quality and extremely durable. The lenses in these binoculars are incredibly powerful, and since they are fully multi-coated, they provide bright and clear images. Despite having large lenses, the Vortex Viper HD binoculars are surprisingly lightweight as they weigh less than two pounds. Another notable feature is that the eye relief is 16 mm, so they are perfect for anyone who wears glasses. Since the lenses in these binoculars are so large, powerful, and crisp, you’re going to be paying a high-quality price. You will also find that these binoculars are on the larger side despite being lightweight. That means you will likely be wearing them around your neck rather than sticking them in your pocket. If you are not concerned with a budget, you will love these powerful, high-quality binoculars, but if you are looking for a more inexpensive option, you will want to consider other options. The Nikon 7576 Monarch has 8x magnification and 42 mm lenses. It is a good quality and moderately-priced option mentioned in several binoculars reviews. 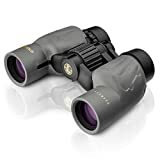 These binoculars have good magnification level at 8x, and even though the lenses are on the large side, they are lightweight as they weigh less than two pounds. Many hunters love these binoculars when they are hunting close game, and they enjoy the fact that they are relatively compact, which makes carrying them conveniently. It is also worth noting that the binoculars are waterproof and fog-proof, and they have a good field of view. Nikon used prism coating on these binoculars, which is okay, but not as good as other coatings. 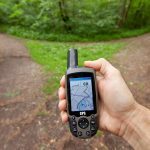 Prism coatings usually don’t provide images that are quite as clear as other options, so that is something you should consider before buying these. You should also consider that a lot of people have complained of losing lens caps that fall off. 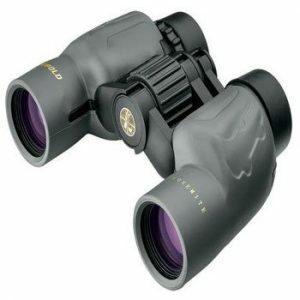 If you are the hunting game that is relatively close, you will be happy with these good quality binoculars. If you are the hunting game that is further away and wants a clearer image, you should keep looking for a different pair of binoculars. The Bushnell H2O binoculars are very popular because they are very compact, and they are easily the most affordable binocular in this review. They come in 8x, 10x, and 12x magnification with 25 mm lenses, and you can purchase them for less than $40. 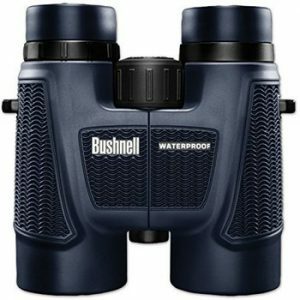 Besides being extremely affordable, the most notable pro for the Bushnell H2O binoculars is that they are very lightweight and compact. They weigh less than one pound, and the 25 mm lenses allow for the design to be much smaller than the 42 mm lens binoculars. Despite being so small, they are still very powerful, reaching magnifications up to 12x. The biggest downfall with these binoculars comes from the compromise you have to make with smaller lenses. 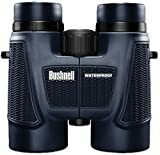 In order to be more compact, Bushnell designed them with smaller lenses, but that means that, at a 8x magnification level, these binoculars are going to take in less light. For that reason, they are not recommended for hunting in dark woods. They also have an eye relief of just 12 mm, so they won’t work very well for people with eye or sunglasses. If you are looking for small and very affordable binoculars, the Bushnell H2O binoculars will serve you well. If you are willing to spend more money and would like larger lenses for more light, you would be better off purchasing one of the other binoculars in this review. 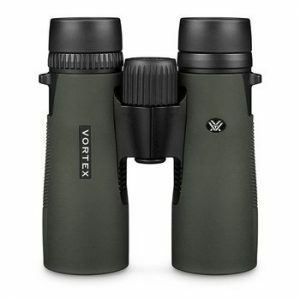 For me, the Vortex Diamondback 8×42 comes in at the top of the list for best hunting binoculars. It is not the absolute best quality binocular on the list, but because of its combination of high quality and affordability, it values brings it ahead of the rest. The Diamondback comes in ahead of the Vortex Viper for the sole fact that it is far more affordable, and it still has the Vortex quality. It might not be as powerful in terms of magnification, but as I mentioned before 8x is a good level of hunting. In my opinion, it is better than the Bushnell H2O because it can produce images with more light with its larger lenses. It is better than the Nikon because of the of the lens quality and because Nikon is not great for mid to long distance hunting. Lastly, it is better than the Leupold because the design is sleeker and less awkward. Most of the binoculars are very comparable and affordable. These are just my personal favorites, and my choice for the best binoculars for hunting is based on factors that are most important to me. Because of that, your best-hunting binoculars are really going to come down to your personal preferences that you have carefully considered. Once you know what you’re looking for and try out a few binoculars, you will have a good idea which of these fits you best. A night vision binocular is a device that has two eyepieces and has built-in magnification. Typically binoculars aren’t suitable for head mounting because they’re just too heavy (thanks to the magnification lenses). If your needs call for stationary, long-range night viewing, the Best Night Vision Binoculars would be what you need. 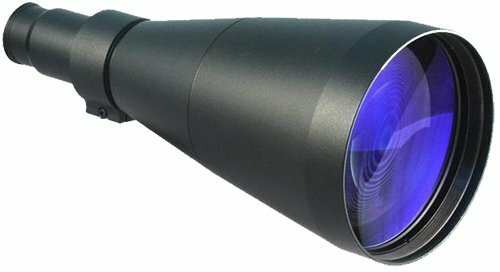 Generally speaking, the higher the generation of the optics, the better the imaging, which would mean that Gen 3 would be your best bet for spectacular night vision, but if your budget is a little tight, you’ll likely want to opt for Gen 1 devices which cost a lot less than the newer generations. What Are Night Vision Binoculars Used For? Comprising the most basic night vision technology, this is a pretty solid and reliable Gen 1 night vision binocular. We love the fact that it comes with a built-in sensor that guards the unit against bright light exposure. It’s really rugged and lightweight, making it the perfect night vision binocular for hunters and outdoorsmen. The high power focusable IR Illuminator works hard to deliver crisp and clear imaging even in the darkest of conditions. This is a step up from the D-212; it’s one generation more advanced and also a little pricier than the Gen 1 model. 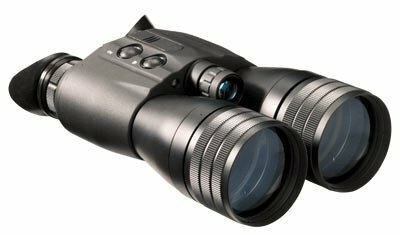 This modular, high performance binocular has dual image intensifier tubes that bring you crisp and clear imaging. We really like the advanced automatic brightness and gain control features. Because the image tubes operate independently, it allows for superior depth perception and stimulates a more natural vision. What’s also great is the fact that it has a near IR illuminator that increases your ability to operate it at close distances. With the D-221B-HP you get a great field of view, easy target acquisition and a very strong performance in low light conditions. Tac X Tactical team be happy to recommend this as an excellent night vision binocular especially for applications such as wildlife tracking. Whenever you see Generation 3 Night Vision Optics, you know it’s the real deal and this Long Range Binocular from Night Optics is no exception to the rule. With its powerful 6X objective lens, this binocular can acquire targets in excess of 3000 yards! We love the fact that its super lightweight, waterproof and has been built with durability in mind. 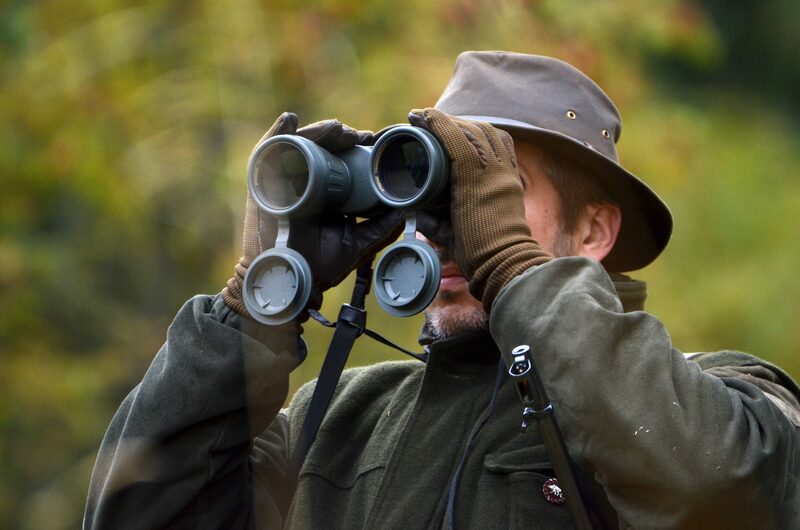 The user controls on the Long Range Binocular from Night optics are very easy to operate, giving you a simple and safe operating experience in even the darkest of conditions. If you need something that’s going to light up your world, in the long run, we’d be happy to recommend the Falcon Long Range Binoculars from Night Optics. This third generation binocular with its dual image intensifier tubes provides you with clear, crisp imagin g, and because it’s Gen 3, you know you’ll get outstanding quality. Thanks to the 3.6X magnification, you’ll get a great balance of a great field of vision, easy target acquisition and a strong performance in low light conditions. The D321 is one of the most versatile and reliable stereoscopic binoculars on the market today and we’d happily recommend it as a great night vision optics tool. While buying a pair of binoculars might seem pretty straightforward, there are actually a lot of things you should consider before you make a purchase. 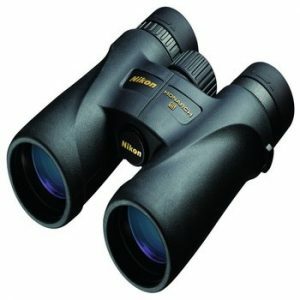 You will want to consider your needs and find a pair of binoculars that will meet them based on the following features. Magnification:- Most people immediately think of magnification power when determining the most important binocular feature. They are also under the misconception that, the higher the number is, the better the binoculars. However, there are several other factors that affect the quality, and more magnification does not make binoculars better. Hunting binoculars are usually between 7x and 10x because that gives them an adequate range without lowering the image steadiness. Anything above 10x is better used with a tripod to help hold the image steady. Field of View:- The field of view (FOV) is another important factor to consider. The larger the FOV, the more area you will be able to see. As you use the magnification of your binoculars, the field of view becomes smaller. Although, that isn’t always a bad thing. In fact, you typically won’t need a large FOV when hunting unless your target is fast moving. Optical Coatings:- Today, you will find that most binoculars have at least one layer of optical coatings, which are layered on the glass to cut back light reflection and to produce brighter and clearer images. Without optical coatings, you will find that your binoculars have light loss and glare. Some binoculars are full, multi-, or fully multi-coated, and the price of the binoculars usually increases with more coatings. Most hunters are willing to pay the extra money to have a pair of binoculars that are at least multi-coated, so they get more light. Eye Relief:- If you wear eyeglasses or sunglasses, you’re going to want to make sure you get binoculars with good eye relief, which is the distance from which you can hold the binoculars from your eyes and still be able to see all of the images. People who wear eyeglasses are usually comfortable with an eye relief of at least 14 millimetres. Anything less than that will reduce the field of view. Focus Type:- Binoculars usually come in two different focus types: individual eyepiece focus or central focus. If you are mostly looking for binoculars for medium to long distance work, individual focus binoculars will work really well. Center focus binoculars work better for the close game. Individual focus binoculars tend to be more popular since they don’t need focused beyond 30 yards, and they are waterproof and very durable. Image Quality:- Another common misconception people have when purchasing binoculars is that they need the best image quality. Logically, that makes sense, but really, fair image quality will often get the job done. The only instance in which you would need excellent quality is when you are planning on looking through your binoculars for hours at a time. Otherwise, if you’re just locating game, any image quality will suffice. If you are set on having a good image quality, you should plan on spending a good amount of money. In turn, you’ll get binoculars that you can look through for long hours without getting eye fatigue. Most reasonably priced binoculars will sacrifice image quality for other features, such as waterproofness, which is usually more important to hunters. Size and Weight:- Lastly, binoculars can vary a lot based on size and weight. 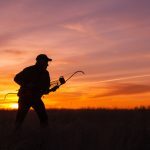 When you are hunting, you will typically do a lot of hiking or spend a lot of hours with your binoculars around your neck if they are too large to fit in your pocket. While this might not seem like an issue, most full-size binoculars will weigh between one and two pounds, sometimes even more. 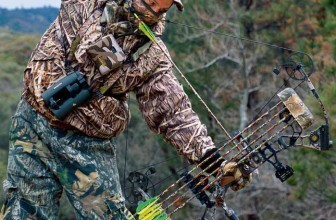 Carrying large binoculars around your neck while you are hunting can cause you a lot of unnecessary pain. Most hunters will opt for binoculars that are smaller and can fit in a pocket. This means you might have to compromise on other features, but those compromises usually won’t affect the effectiveness of the binoculars. Usually, the type and amount of glass lenses are the most influential factor in terms of binocular weight. Now that you know more about the factors that differentiate binoculars, you can choose which are most important to you and how they will meet your needs. Once you have a better idea of what you are looking for in binoculars, you should visit your local outdoor retailer and try and compare several different binoculars. Conclusion:- It’s pretty clear to see that Night Optics rule the market when it comes to reliable and functional night vision binoculars that aren’t going to break the bank, but still deliver outstanding functionality. We’ve shown you all the good stuff and deliberately kept the poor performance models off the list. We know you want to get your hands on the best, which is why we’ve shown you such a huge variety of options. If you need something basic, the Generation 1 Binocular from Night optics is a perfect fit, and it’s also not going to cost you too much. If you feel like stepping it up a notch in the quality department, the Generation 2 binocular would be the way to go. And if you’re into some serious business and need some really fantastic performance (and you’re not worried about how much you’re going to have to dish out) the Generation 3 Long Range Binocular and the Gen 3 D-321 are both excellent choices for your clear night vision imaging.